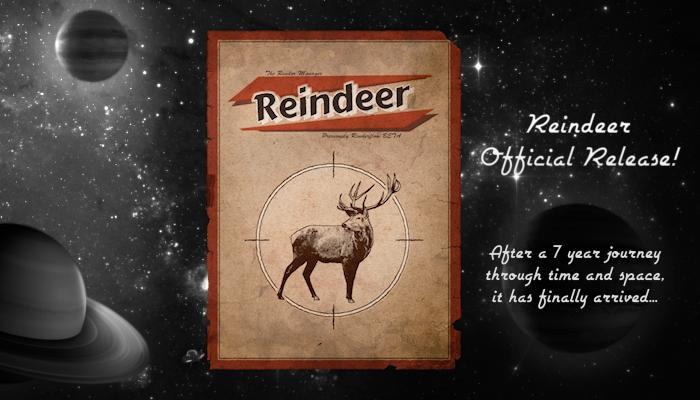 AnimaThings is proud to introduce Reindeer! The friendly node based Render Manager and Scene Automator for 3dsMax. From it’s humble beginnings 7 years ago it has evolved into your new favorite timesaver, a tool that will pay for itself. Easily submit multiple render setups to BackBurner, Deadline or render locally. With Reindeer it’s all just one push of a button. Keep it simple or build advanced setups, it’s your choice. Reindeer let’s you automate the boring stuff so you can focus on what matters, Animation, Shading and Lighting. On the 15th of September 2009 a tool by the name of “RenderFlow Beta” was officially made available to the 3dsMax community. It introduced a “node based” approach to render management. But how did it come about? I was working on a project and needed to do lot’s of iterations fast (as always). But submitting renders was slowing me down. It was a slow, frustrating, error prone process. It wasn’t difficult but there were many steps, turning layers on/off, assigning materials, changing some setting here or there. The steps were easy, but for a tired mind that just wanted to go home small mistakes were frequent and renders would come out wrong. So I made a checklist, then gradually the checklist was turned into a maxscript that would take care of the entire submission process. Suddenly productivity rose and time could be spent on the things that mattered, how things moved and what they looked like. In other words Animation, Shading and Lighting. But writing a maxscript and keeping track of it for every scene is a massive pain and is about as flexible as a rock. Being a fan of Shake and seeing rendering as a part of the compositing process, a node based UI was inevitable. Thanks to Helium (by Lumonix) being made freely available around that time it was also made possible to implement in MaxScript. The first version was hacked toghether for that project in a few hours, it just had RenderNodes and LayerNodes. Layers would be turned on if they were plugged into a RenderNode and off if they weren’t. RenderNodes simply represented views in the batchrender dialog. Very primitive but surprisingly useful. But the design led to an immediate problem. I wanted to add a MaterialNode, and for that to work the flow needed to change.